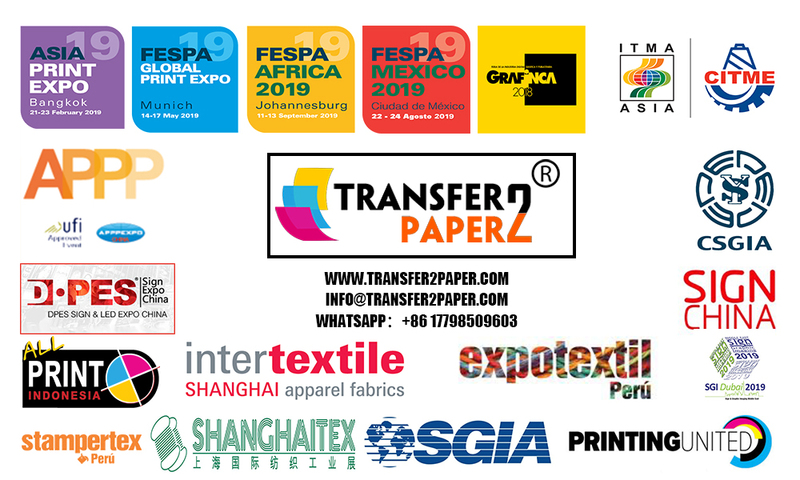 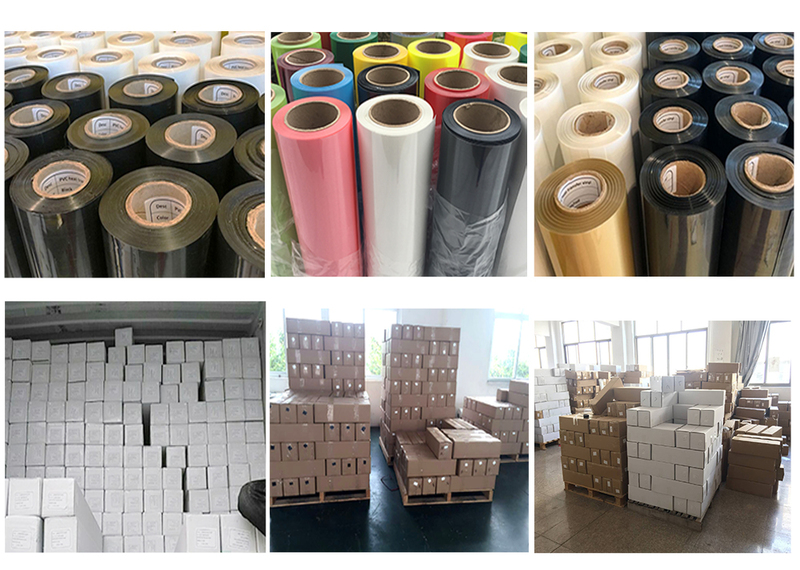 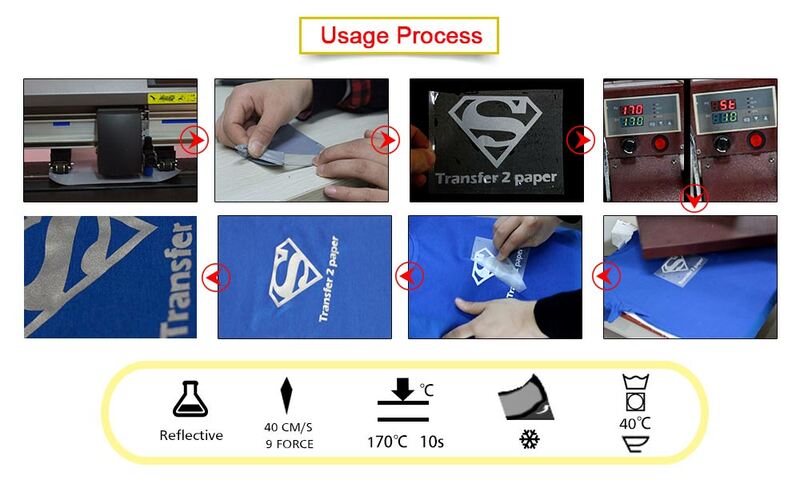 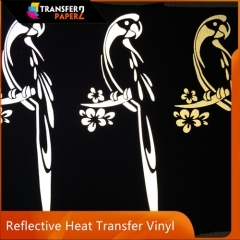 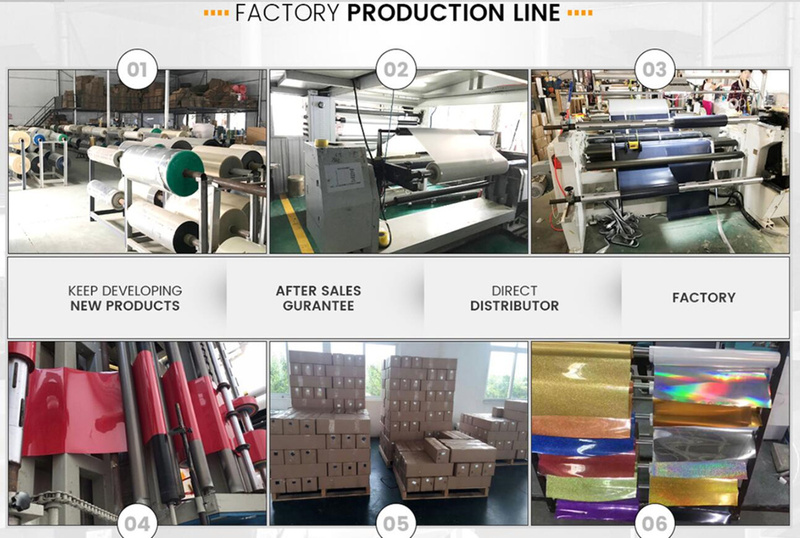 Transfer2Paper is heat transfer vinyl factory in China. 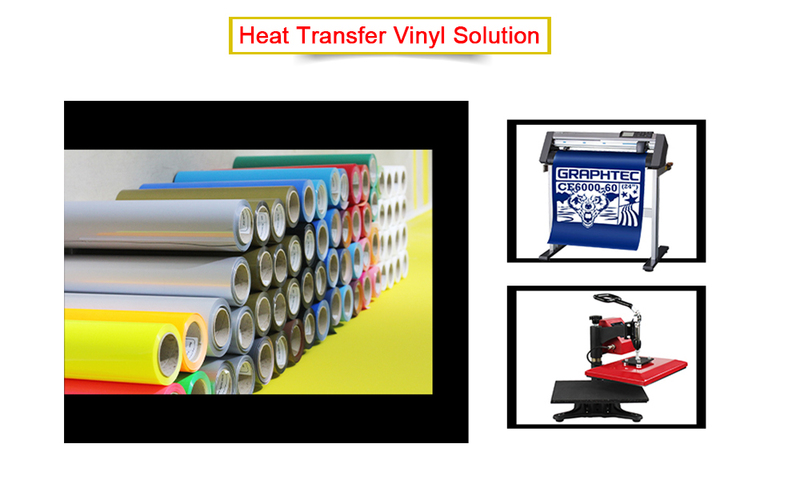 We supply high quality heat press vinyl for vinyl cutting machine by heat transfer. 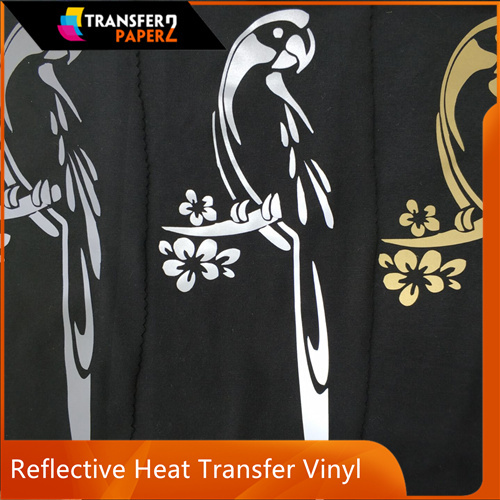 Our reflective heat transfer vinyl with many colors and in 50cm x25m roll size, we supply distributor price. 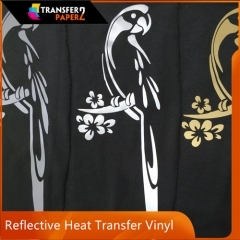 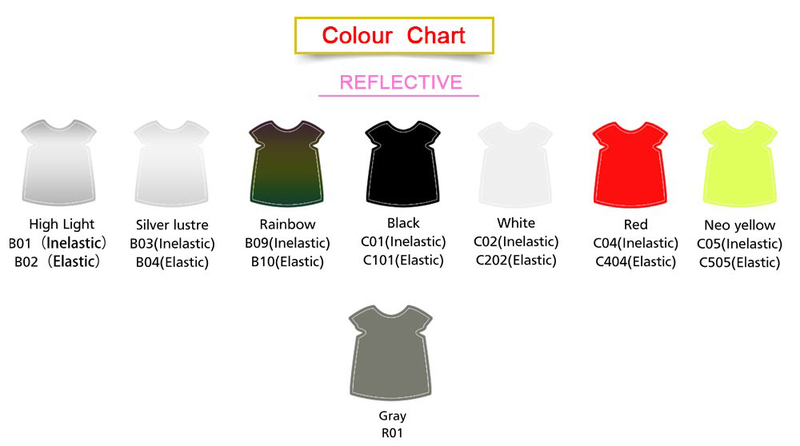 Reflective heat transfer vinyl with many colors. 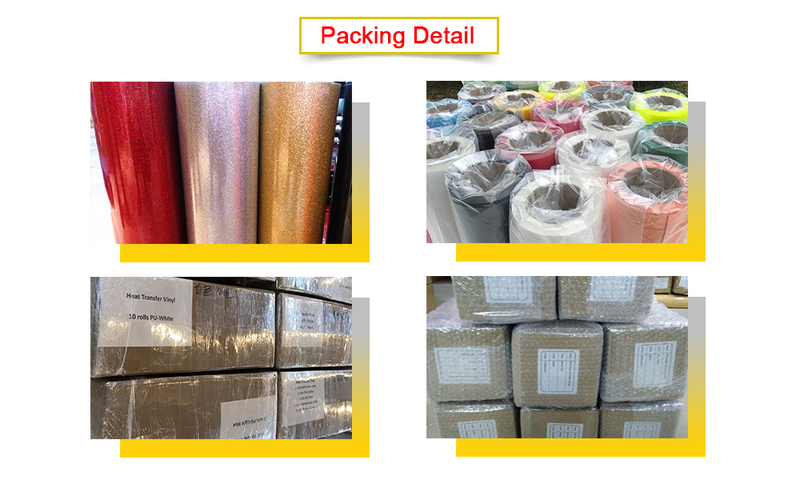 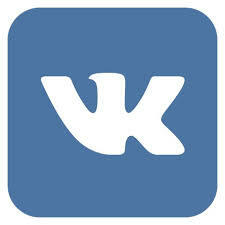 It's PU based, and environment friendly material. 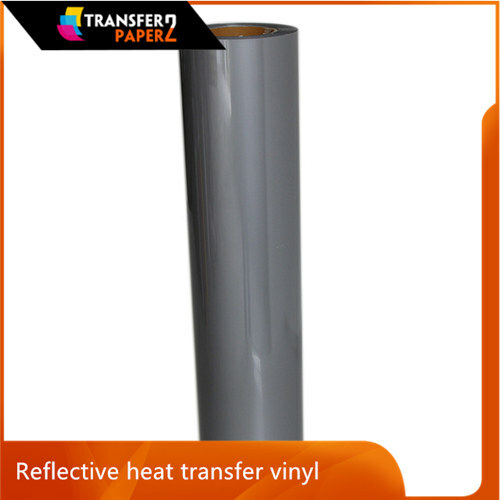 The heat press vinyl is easy cut on vinyl cutting machine, and easyweed, and have great outshow under lights. 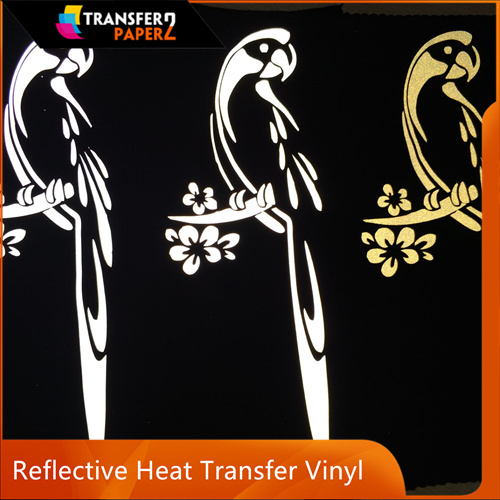 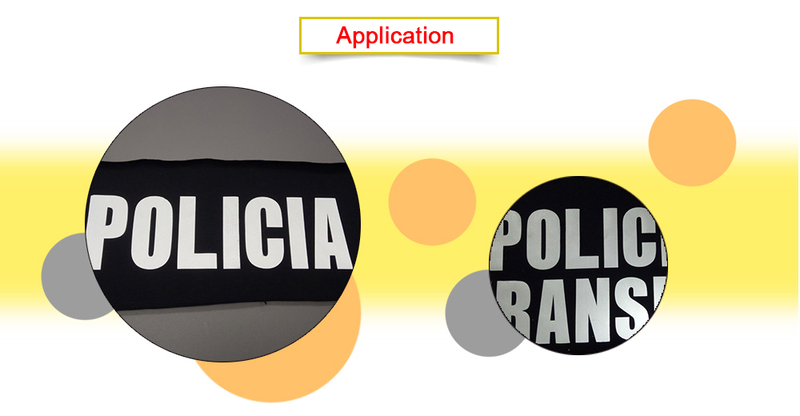 Below photo show our reflective heat transfer vinyl comparation under daylight and light.